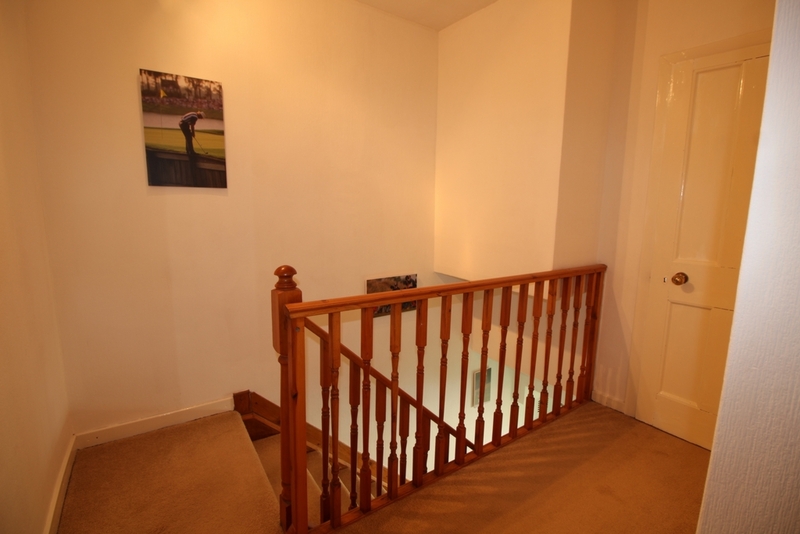 Entrance hallway with space for under stair storage. 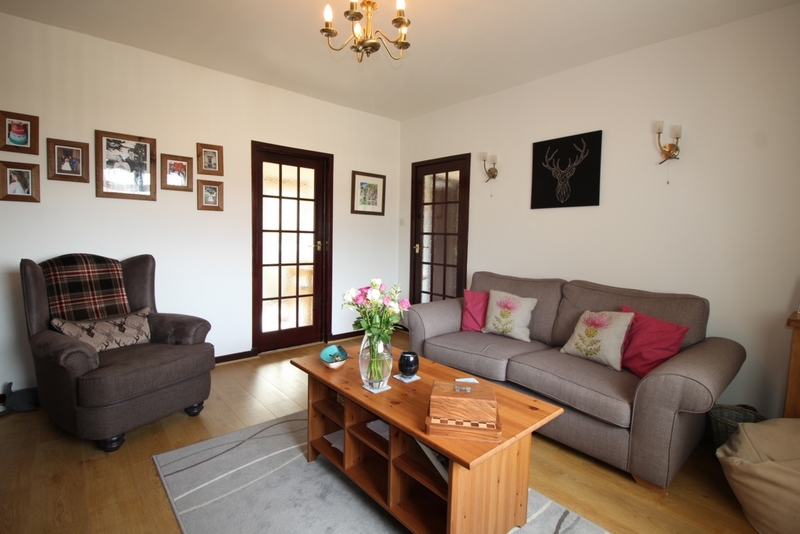 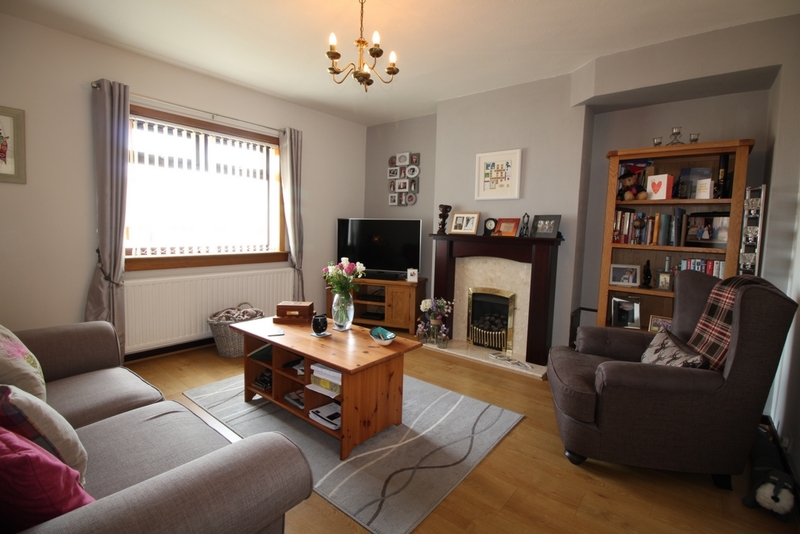 Bright and spacious lounge with wooden flooring, gas fire and surround. 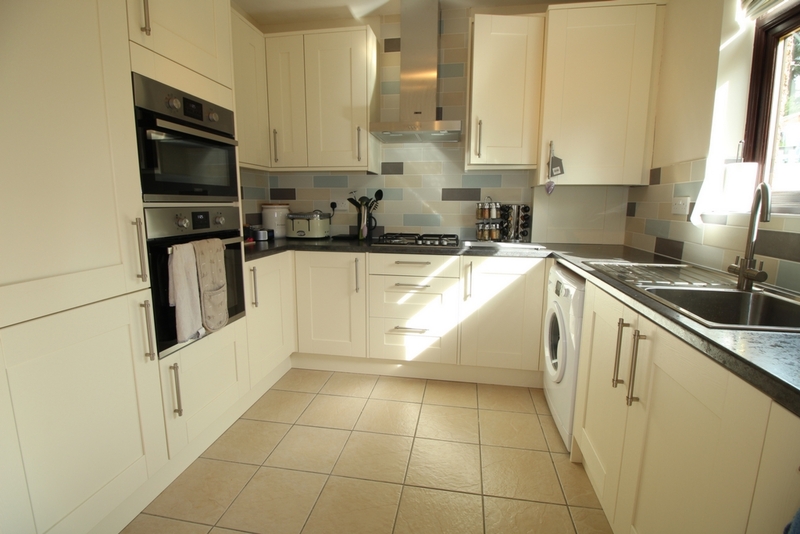 Newly fitted kitchen with dining area, tiled flooring, floor and wall mounted units, integrated gas hob, extractor, oven, 2nd oven/grill/microwave and dishwasher all of which are Zanussi. 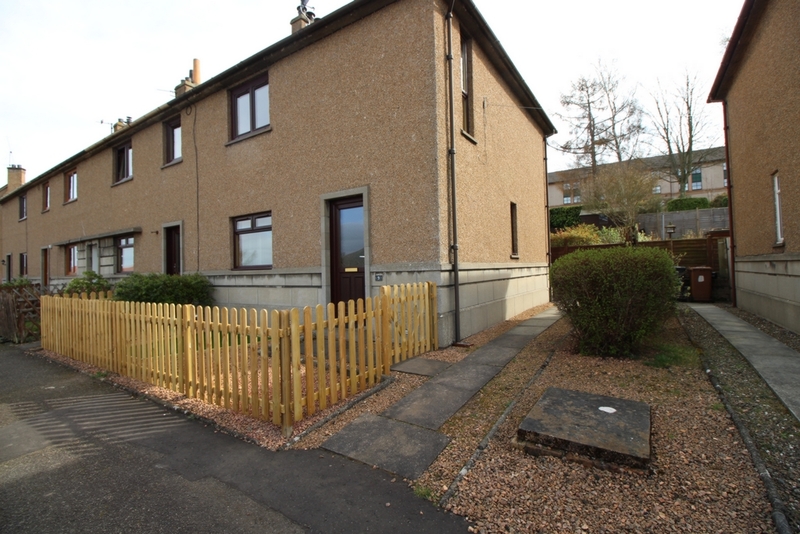 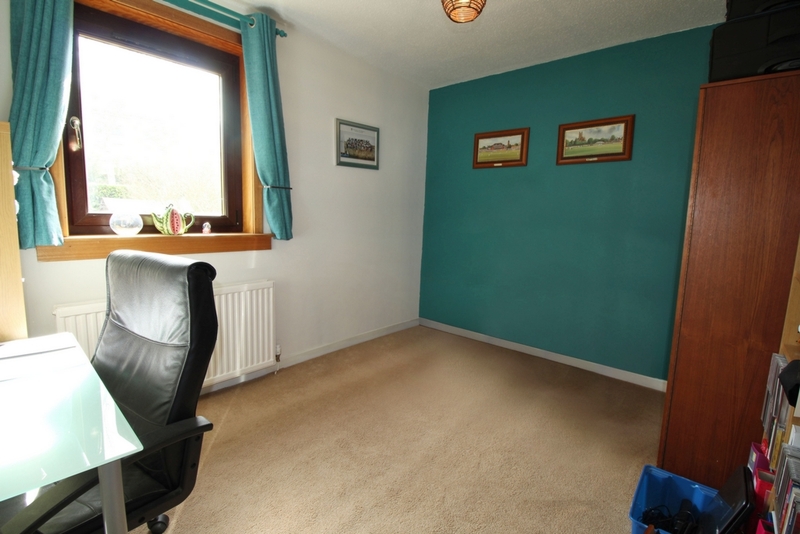 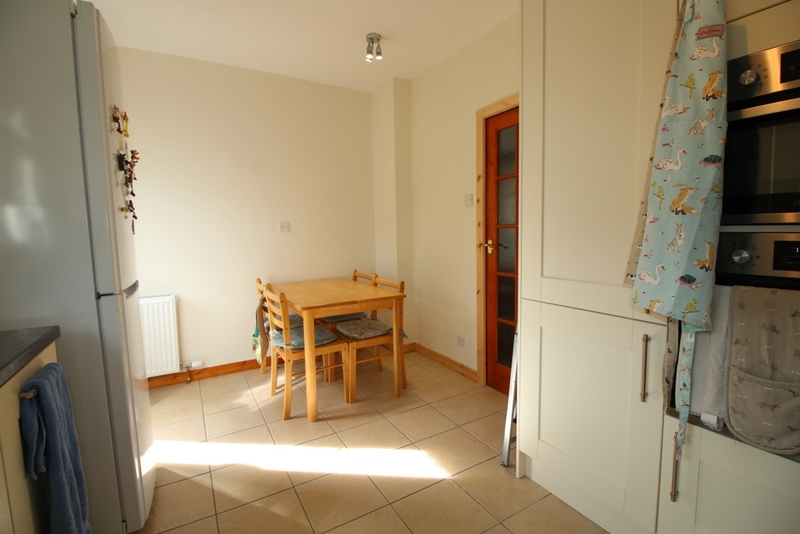 Room for further appliances, dining area and access to rear garden. 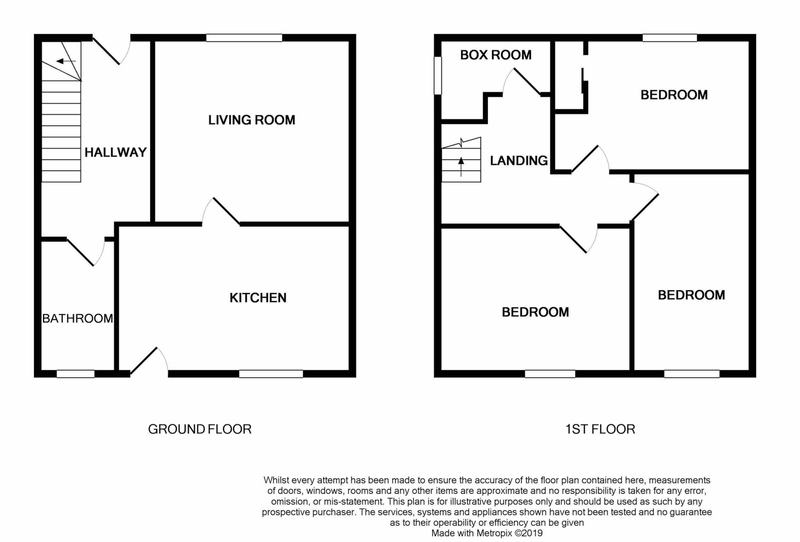 Bathroom with tiled flooring, shower over bath, screen, WC and WHB in storage vanity unit. 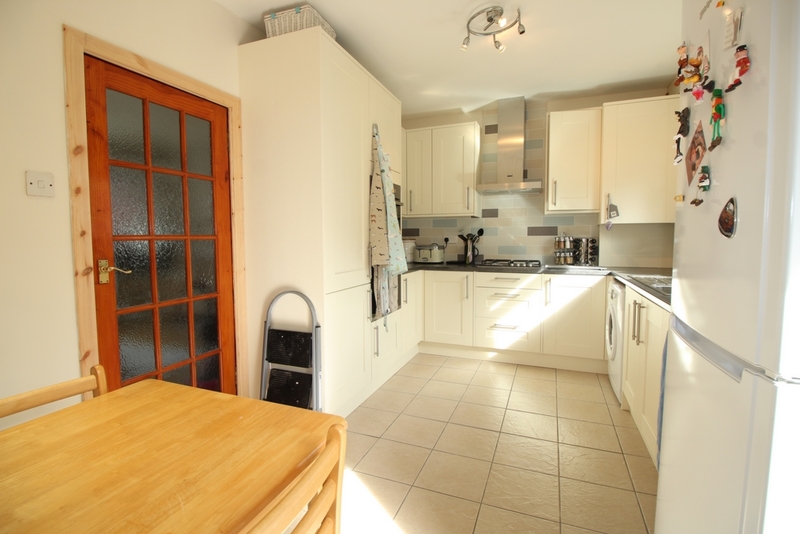 Landing with large walk-in cupboard. 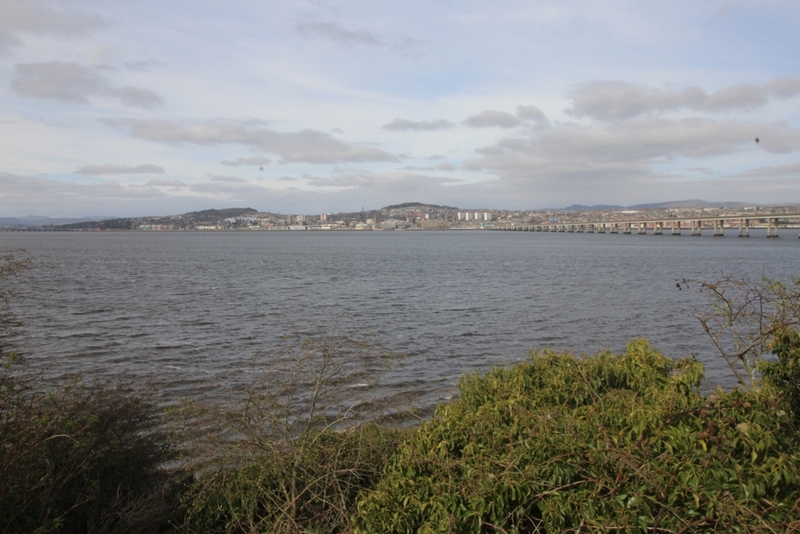 Bedroom 1 is a large double room with built-in mirrored wardrobes and River Tay views. 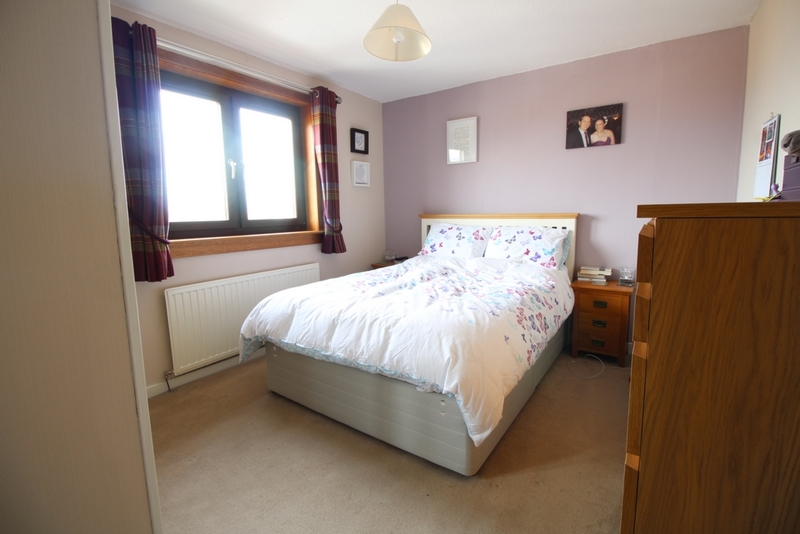 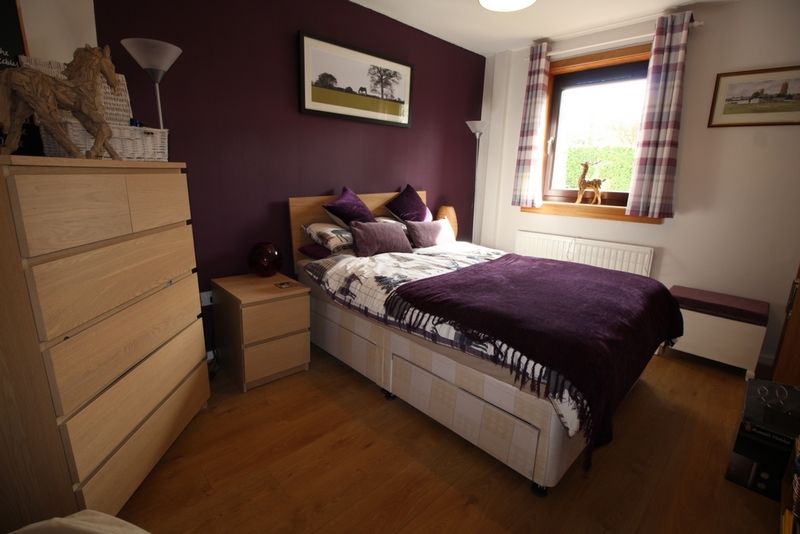 Bedroom 2 is a large double room with wooden flooring. 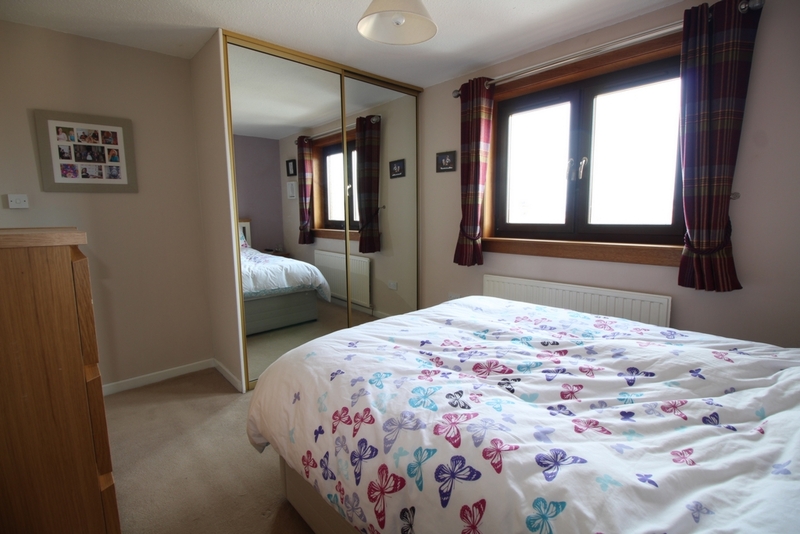 Bedroom 3 is a double room. 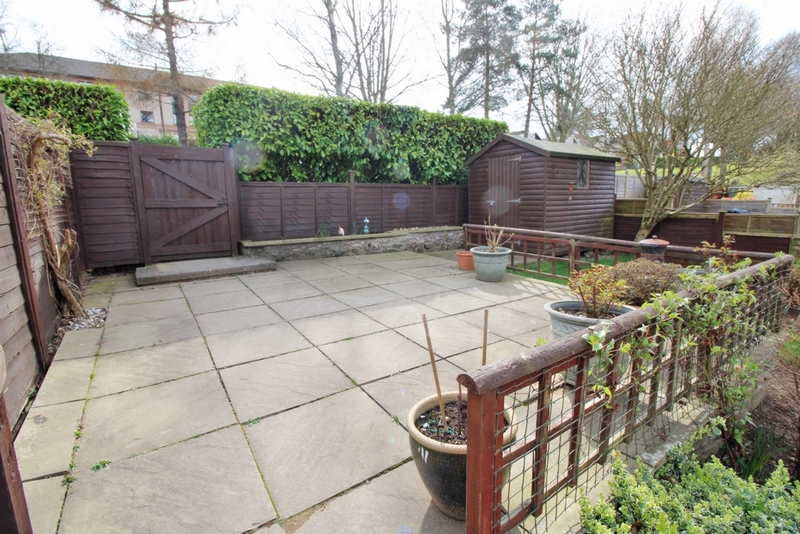 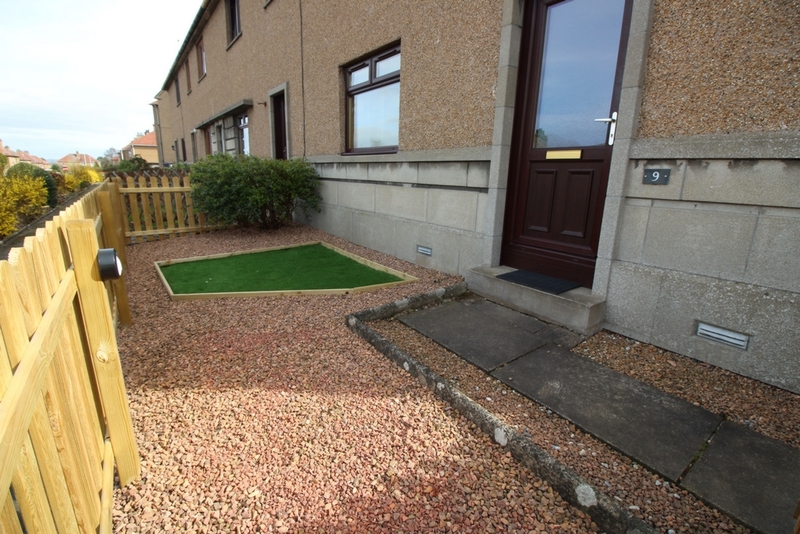 Fully fenced garden to the front of the property with decorative chips and artificial grass. 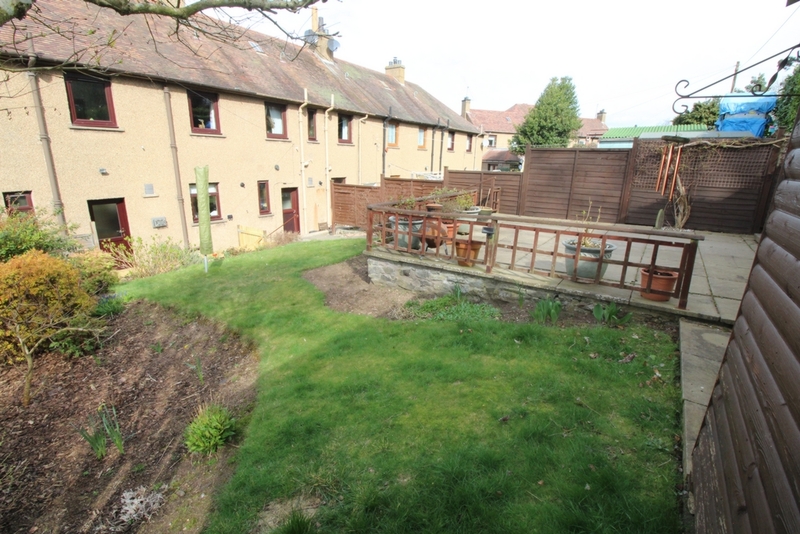 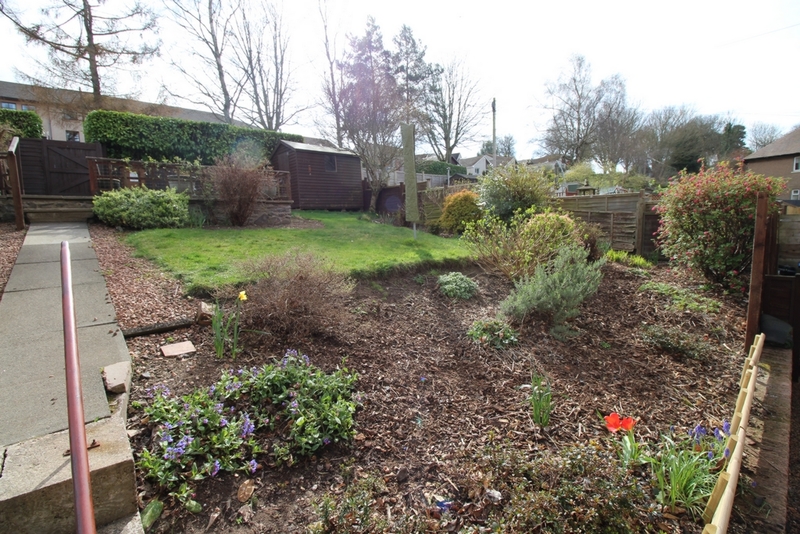 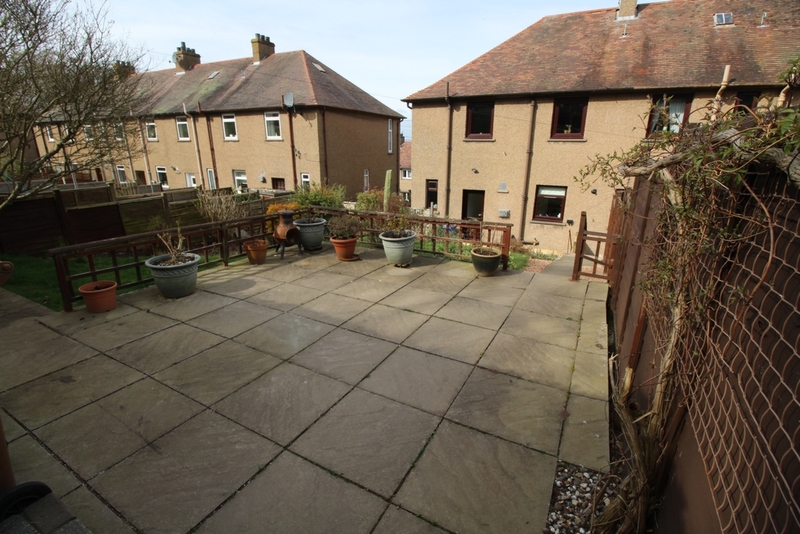 Split-level rear garden with large patio, lawn, decorative chips, mature shrubs and trees. 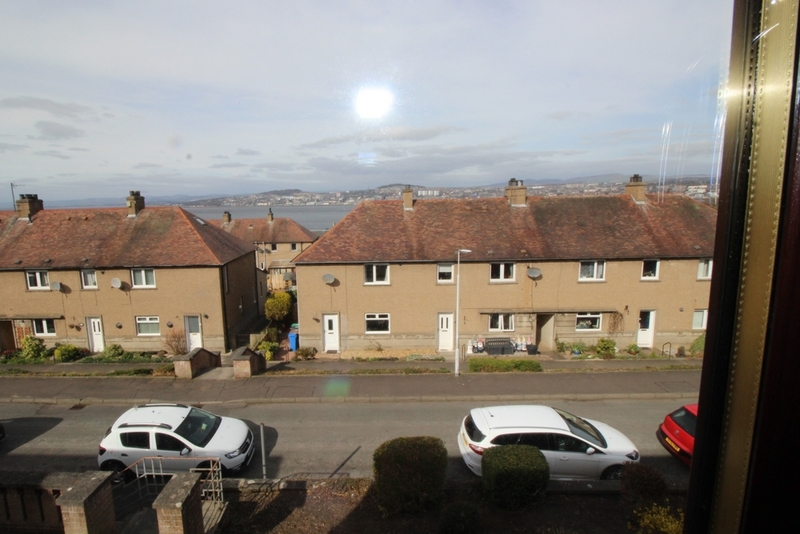 Parking to the front and rear.